When you are looking for a personal injury lawyer in Ajax or Pickering, look no further and contact Steven Polak. Steven is a fifteen-year veteran of the personal injury law field and has continually delivered strong advocacy and results for his clients and their families who are dealing with serious injuries. Steven has the experience and expertise and resources to handle cases of every complexity, and no matter the mode or mechanism of the injury, he will be there for you. With Steven and his team of investigators behind your case, they will be able to gather evidence, prove cause and ensure that your claim is in the best possible position to receive the compensation that you and your family deserve. Steven Polak and his team are proud to serve Ajax, Pickering, Whitby and Oshawa. 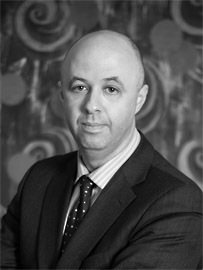 Steven Polak has dedicated his entire professional career to work in personal injury and insurance law. With his experience as an insurance defence lawyer, Steven is ideally positioned to assist and lead his clients throughout the legal process. Once retained – Steven is in your corner fighting to obtain a successful resolution for you. To find out more about how Steven can help you and your family with personal injury or disability law in and around Ajax and Pickering, visit his website at law123.ca. Steven Polak has made his name as a personal injury lawyer who has been known to go the extra mile for his clients. Whether it is guiding his clients through every stage of the litigation process or working the case and litigating against the big insurance companies, Steven always works hard to obtain the best possible result for his clients. Steven has been serving Ajax and Pickering for years. He is always ready to meet with you to discuss the process, the issues around your case, and the best way forward for your situation. See how Steven can help you with your injury or insurance case and email him or call him at 905-409-2438 today for your free, no obligation consultation.